Alien Explorations: Giger's Landscape XXVII references Lawrence Ratzkin's illustration for J G Ballard's Crash? 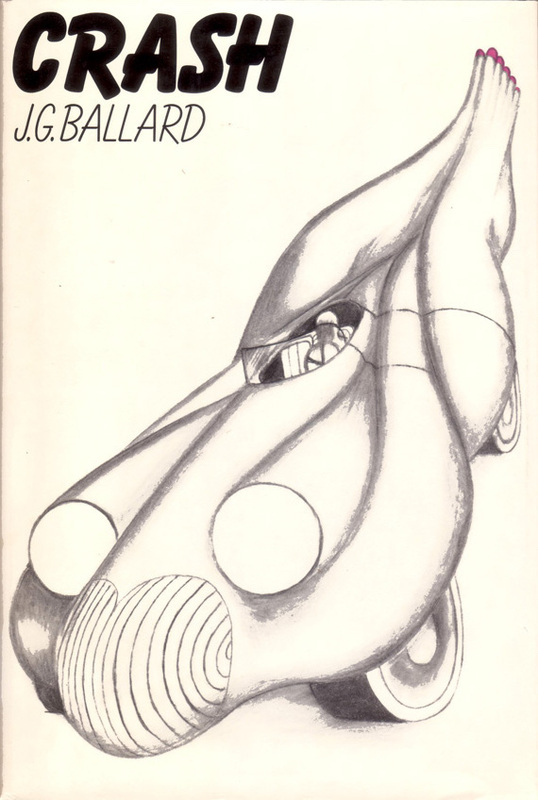 Giger's Landscape XXVII references Lawrence Ratzkin's illustration for J G Ballard's Crash? a) 17th November 2016, suddenly I realise another painting that seems to have referenced a JG Ballard cover. The novel Crash with a cover illustration by Lawrence Ratzkin featuring a striking anthropomorphized automobile from 1973.
b) Although it might be hard for some people to perceive the idea of the car in the Giger painting, it might be quite obvious to think Giger would have been interested in the illustration because of the idea of a human form merged with a car, and then of course wanted to do something with it and so he painted Landscape XXVII in 1974, the idea would be that he abstractly based shapes spread around in the painting on parts of the car or aspects of the car's general form and embellished them in ways different to the illustration.